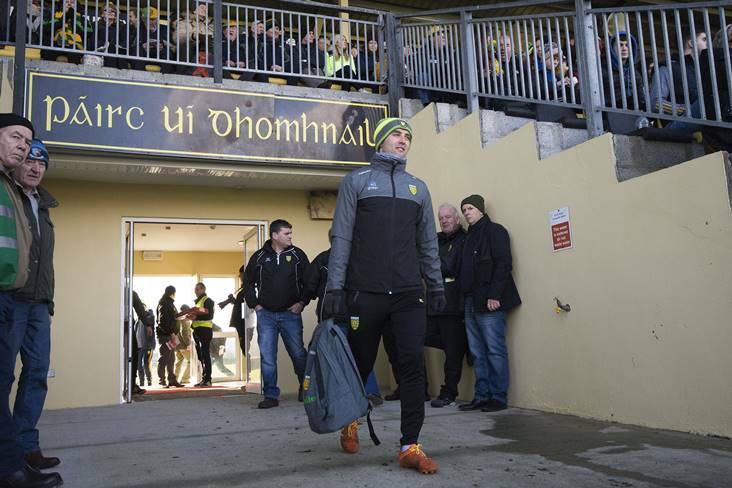 Donegal selector Karl Lacey before his side's Allianz FL clash against Galway at O'Donnell Park, Letterkenny. Karl Lacey is reported to have stepped down from his position as Donegal football coach. The 2012 Footballer of the Year retired from intercounty football last year and immediately took up a position in new manager Declan Bonner’s backroom team. The Four Masters clubman made an instant impact, helping the Tir Chonail men reclaim the Ulster SFC during the summer but, according to The Irish News, the Letterkenny IT lecturer has informed Bonner that he will not be available next year due to work commitments.